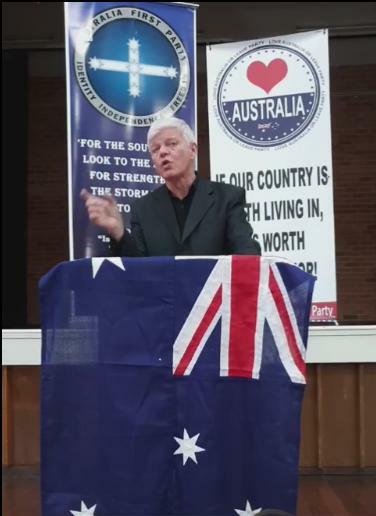 On Saturday July 7 2018, Australia First Party President Dr Jim Saleam delivered a seminal public speech exposing Pauline Hanson’s One Nation Party of political fraud and treachery, as being no more than a satellite of the Liberal Party’s electioneering apparatus, and of Hanson’s looming use-by date in the aftermath of the next Federal election. It is a clarion wake up call to Australian patriots who have been duped since 1996 to realise that Pauline Hanson has never been an Australian nationalist let alone patriot, but an agent for conservative Liberal Party electioneering strategy, created as a lure to John Howard’s ‘Aussie battlers’ and to otherwise disenfranchised Ordinary Australians doing it tough. John Howard indeed in opposition in 1988 to appeal to the disenfranchised Aussies, ran a Liberal Party programme he branded the ‘One Nation Policy‘ pretending to care about ordinary Australians’ concerns with mass immigration and enforced multiculturalism. All the while the Liberal Party pursues its anti-Australian globalist agendas regardless – characterised by free trade for foreigners, foreign ownership, privatisation of public owned infrastructure, mass immigration, offshoring jobs and multi-racial undermining. Howard masterminded a radical Liberal One Nation in order to corral Hanson and prevent her being an effective alternative to his ‘battler’ lure campaign. Cash strapped Pauline was simply politically naive and Howard’s seasoned right faction ran circles around her. 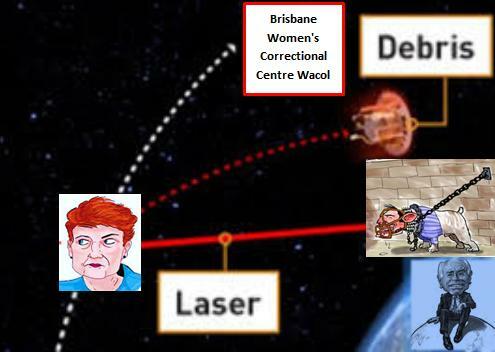 By 2003, once she went ‘off leash’, Howard dispatched attack dog Abbott to assert party membership fraud and so prison time – as an unwanted Liberal satellite, space debris, flying junk. It was all crap and so on appeal 11 weeks later Hanson’s conviction was quashed and she was released without a criminal record. The Liberals retain their record of political persecution. Dr Saleam’s speech has the analysis depth of a Four Corners investigative exposé; though Liberal Hansonism goes deliberately unreported by the globalist mainstream media. Watch and Listen to this illuminating speech.